The Tiny Tree is an innovative living concept that builds on the increasingly popular Tiny House movement. It provides a sustainable platform for multiple Tiny Houses that can be linked together to form a community. 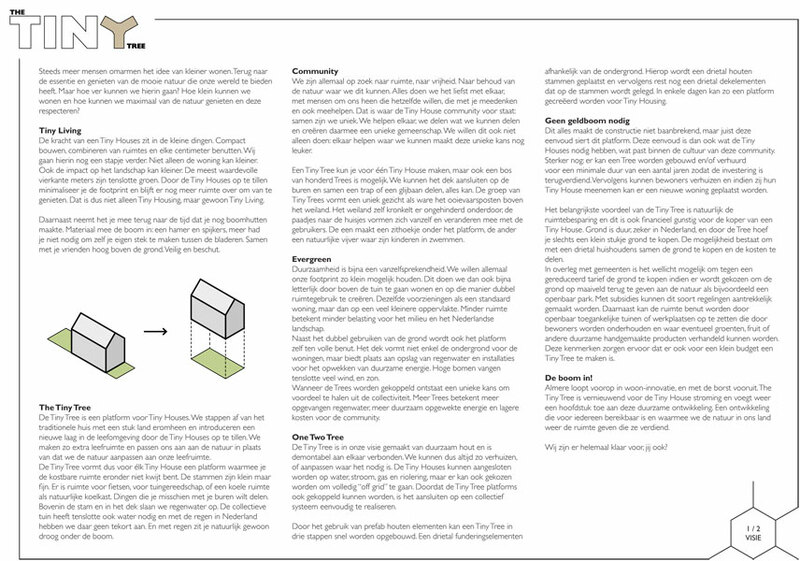 The Tiny Tree concept was an entry for a design contest organized by the city of Almere in The Netherlands and was developed by Thomas de Bos, Vincent Louer and Bob Blom. 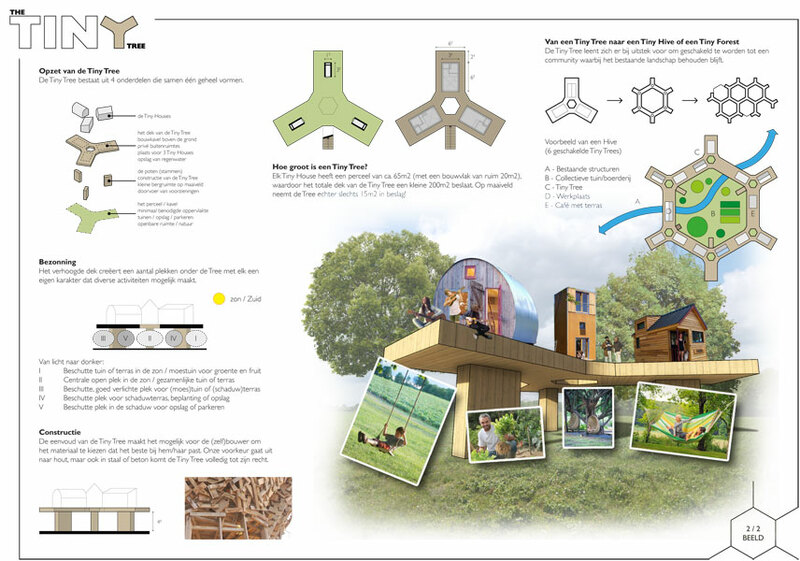 The design contests aim was to create an overview showing the possibilities of Tiny Housing. In total there were 245 entries for 3 different sites. Click here to view the presentation in PDF (Dutch). More information to follow. Can’t wait? Please feel free to contact us!